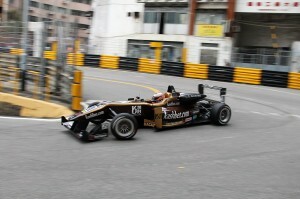 Felix got the 2014 Macau Formula 3 Grand Prix off to a solid start as he stayed out of trouble on his way to the sixth fastest time in Thursday’s opening free practice session. Running was delayed by almost one hour as repair work was carried out to a damaged barrier at Police, inflicted in a massive shunt in one of the preceding support classes. Once the F3 cars ventured out on track, however, the field wasted no time in racking up valuable laps around the Guia street circuit, with Felix completing an early installation lap before getting down to some serious running over the remainder of the session. Uncharacteristically at the tight confines of the ultra-demanding track, opening practice was struck by just one single red flag stoppage, after Mitsunori Takaboshi crashed his B-Max Racing machine at Moorish Hill. Reigning FIA F3 European Championship title winner Esteban Ocon, one of the first men to reach the scene of Takaboshi’s accident, then clattered the back of the Japanese driver’s car and brought his session to a premature end with broken suspension. 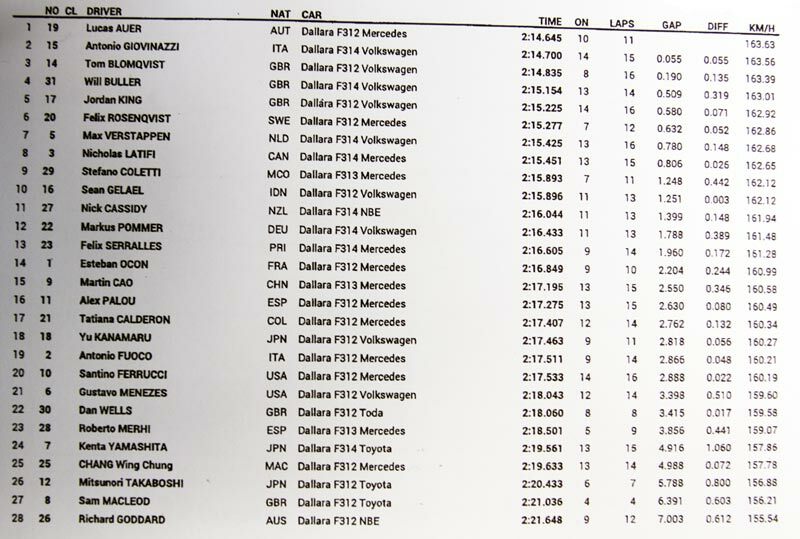 Felix’s Mücke Motorsport team-mate Lucas Auer topped the times in front of Carlin duo Antonio Giovinazzi and Tom Blomqvist, with Will Buller fourth for Signature and Jordan King – another Carlin entry – fifth. Felix wound up 0.6s adrift of Auer, in sixth place. Next up today is the first of the weekend’s two qualifying sessions. The exact start time currently remains unknown, however, due to continued red flag interruptions.